Gas Storage Only Boat Sign. Various colours available. 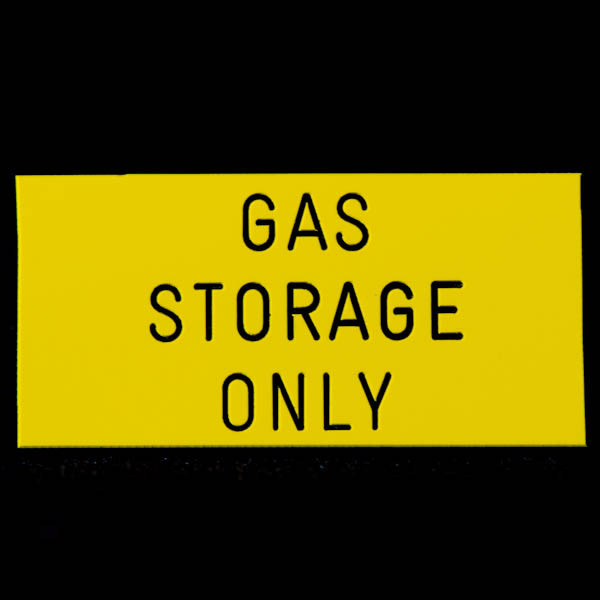 This standard laminate plastic gas storage only boat sign is 5cm wide by 2.5cm high. The plastic boat sign is engraved with GAS STORAGE ONLY, and usually is a yellow and black sign, but is available in red with white lettering, blue with white lettering or green with white lettering. The gas storage only boat sign may be stuck or screwed for fixing, and are available with a screw hole in each side if required. If you require this boat sign in a different size, please contact us. This standard gas storage only boat sign qualifies for free postage, if bought on its own or with other boat signs with free postage. Fuel Shut Off Boat Sign. Various colours available. Diesel Only Boat Sign. Various colours available. Gas Shut Off Boat Sign. Various colours available.